In a case where there is a problem with some of the details provided, you will receive a CAC query that must be treated before re-submitting your Business name application. Your Business name registration on the CAC online portal could be queried for various reasons, in order to get it approved on time, it is advisable you read our step-by-step guide on registering business name to avoid common mistakes. However, let's proceed on resolving CAC query, and getting your Business name approved on time. Based on my Experience with Business name registration on CAC portal, you might be queried for uploading Remita receipt instead of the CAC generated receipt on your CAC account dashboard. In this case, you should go to your dashboard, click the business name that was approved, and click Payment receipt to download the CAC generated receipt. Due to the varying issues that could trigger a query, I might not be able to cover all, but CAC query can be resolved easily by following the instructions in the Query Email you received from CAC. If you encounter any problem, you can drop a comment in the comments section. good morning please i got a query saying upload application form in full and i dont know how to go about it. I got a query that I should redraft my nature of business and upload receipt so, I don't know which receipt. It is the receipt generated on your CAC dashboard, not the REMITA receipt that was sent to your Email address. I received a query that my business address is not accessible. 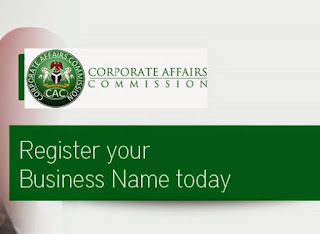 How do I effect the new address on my CAC registration form online.